Video directed by Alexander Brown. Video directed by Frank Lebon. Starring a heavily-pregnant Natalie Portman, ‘My Willing Heart’ was directed by Anna Rose Holmer and filmed in Los Angeles. Centring around Portman in and out of water, the visuals shift the emphasis of the track’s lyrics from lovelorn romanticism to maternal anticipation with subtle monochrome images, blended together with soft-focus textures. Released with little to no prior warning, The Colour In Anything featured diverse contributions from Bon Iver, Frank Ocean, Rick Rubin and Quentin Blake (whose illustrations formed the album’s instantly-iconic artwork). In support of the record, James headlined London’s Field Day, Green Man Festival, Glastonbury’s West Holts stage and played a succession of instantly sold-out shows on both sides of the Atlantic (including London’s Village Underground, Brixton Academy and Hammersmith Apollo). His vocal and production presence is unmistakable across 2016’s other seminal records, from Beyonce’s Grammy-winning Lemonade to Frank Ocean’s Endless and Blond LPs. The Colour In Anything continues the remarkable rise of James Blake: a Mercury-Award-winning, Brit Award and Grammy-nominated singer, songwriter and producer, whose touch can be felt throughout the modern musical landscape. He is currently working on new material. GRAMMY® Award-nominated artist JAMES BLAKE has released a new version of “Timeless” featuring Vince Staples. The Long Beach rapper delivers an undeniable cameo, firing off his impressive and inimitable signature bars. It adds another dimension to the soulful and sharp track from BLAKES third full length album The Colour In Anything. The track premiered on BBC Radio 1 and is available now at all digital retailers. Purchase “Timeless” ft. Vince Staples HERE. BLAKE embarks on his 2016 North American headline tour beginning September 23 at House of Blues in Dallas, TX and will then make stops in major cities across the country, wrapping up the tour at The Hollywood Palladium in Los Angeles on October 20. Vince Staples and Moses Sumney will join him for select dates. Staples will join the New York and Los Angeles dates while Sumney joins all dates minus Santa Barbara and Los Angeles. Electronic producer Airhead will join for the Santa Barbara date. Tickets are available HERE. The last few months have been a lot of fun for Golden Vessel as he rolled-out the release of his debut ‘Before Sleep EP’, took his all new live show to Brisbane, Sydney & Melbourne, and just last week was invited by Triple J to perform at their BIGSOUND showcase stage in Brisbane this September. Golden vessel’s ‘Before Sleep EP’ is available now on Spotify, iTunes and Bandcamp. 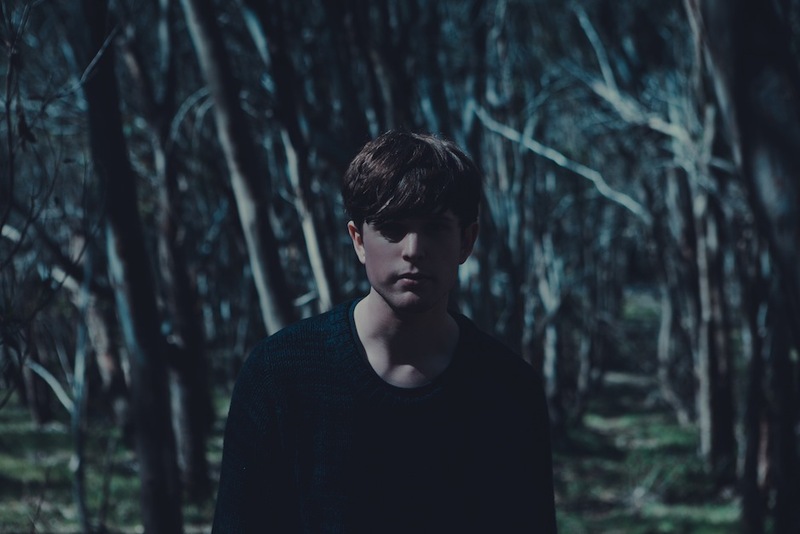 James Blake debuts the music video for “I Need A Forest Fire” [feat. Bon Iver] today. Watch it below. The song is available on his critically acclaimed third full-length offering, The Colour In Anything [Republic Records]—out now. Get it HERE. The video was directed by United Visual Artists: Matt Clark in collaboration with Chris Davenport. It evokes the standout track’s stunning soul and spirit with an equally powerful visual directed by the visual arts company who will be collaborating with Blake on his headline tour in 2016 and beyond. Next up, BLAKE is set to headline two sold out shows at Los Angeles’ Belasco Theatre May 16 and New York’s Webster Hall May 18. Tickets for both shows sold out in less than a minute. GRAMMY® Award-nominated artist JAMES BLAKE releases his anxiously awaited third full-length album, The Colour In Anything [Republic Records], at all digital retailers. Among its 17 tracks, the record features the recently revealed songs “Modern Soul” and “Timeless”— both initially featured on his BBC Radio 1 Residency show. In addition, it includes “I Need a Forest Fire” [feat. Bon Iver] and “Radio Silence”, both of which premiered yesterday on BBC Radio 1’s Annie Mac show. In addition to the Bon Iver feature, Frank Ocean and Rick Rubin also contributed to The Colour In Anything as co-writer and co-producer, respectively. BLAKE’s touch can be felt throughout the modern music landscape. He lent his inimitable voice and production to “Forward” on Beyoncé’s chart-dominating #1 blockbuster Lemonade. In addition, he co-wrote the opener “Pray You Catch Me.” Following the release of 2013’s Overgrown, BLAKE garnered a “Best New Artist” nomination at the 2014 GRAMMY® Awards, and he received a nod for “British Male Solo Artist” at the 2014 BRIT Awards. He’s graced the stage at Coachella, Bonnaroo, Governors Ball, and countless other festivals as well as performing sold out headline tours. New track by James Blake! Listen back to the 1-800 DINOSAUR BBC Radio 1 show here. Watch James Blake perform “To The Last”, “Life Round Here” and “Measurements” live at Electronic Beats Festival in Budapest (31 October 2014).